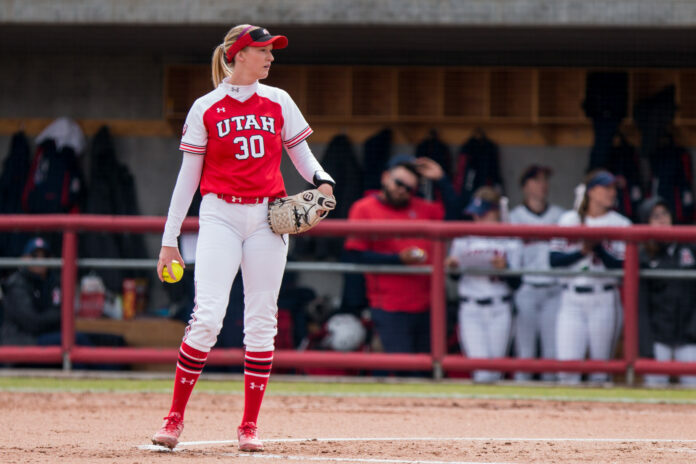 Although they lost the series, the University of Utah (14-26 overall, 3-9 conference) softball team had a successful outing this weekend against No. 25 Stanford University (30-7 overall, 7-2 conference) in Palo Alto. The weekend started out on a high note as the Utes came away with a 2-1 upset over the Cardinal, a team that is ranked nationally as well as fourth in the Pac-12, two places ahead of the Utes. The seniors shone on the diamond as Hailey Hilburn took the game through seven innings in the circle. She struck out four batters and allowed only four hits. This was her first complete game of the season and her second since becoming a Ute. Stanford struck first and scored the first run of the game in the fourth inning. After putting two runners on, a fielder’s choice ground ball put the Cardinal’s only run of the game on the board. Utah did not see much success in the batters’ box until the sixth inning when Julia Noskin reached base and was then hit home thanks to Ally Dickman, who launched a two-run home run. This was her seventh home run of the season, and she leads the team with this number. Despite a strong showing the day before, Utah could not get it done on Saturday and fell on day 2, 6-3. Hilburn had another stellar day on the field and sent two balls over the fence to supply the only runs for the Utes. Her two home runs in one game are the first of their kind this season, and the first for any Ute since the 2017 season. Stanford came out swinging and put two back-to-back shots over the fence from Montana Dixon and Kristina Inouye in the first inning to quickly go up 2-0. The Cardinal did not strike again until the fourth inning when they put two more runs on the board thanks to a triple from Emily Schultz and a single that followed. Utah came back just half an inning later and got the ball rolling with their first hit of the game from Alyssa Barrera. Hilburn then followed that with her first home run of the day putting the score at 4-2, Stanford. 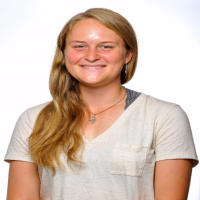 Two runs came across in the bottom of the sixth for Stanford putting them up to two more runs, and Hilburn’s second home run in the top of the seventh was not enough to keep Utah in the game and they fell in seven innings. In their final outing against the Cardinal, the Utes were once again unable to come through with a win, and they fell in the series finale. Stanford scored all six of their runs in the second inning, starting off with two runs coming across off of a fielding error. Two singles later, Stanford had put across four more runs, and they led 6-0. Utah waited for two more innings until they saw success in the fourth inning with two singles and then a sacrifice fly from Makayla Hurst to bring one run across. Ellessa Bonstrom mashed her fifth home run of the season in the sixth inning to score the only other run of the game and the score stopped there at 6-2. The Utes will return to Salt Lake as they host the University of Washington in a three-game series beginning on Thursday, April 18 at 6 p.m.